For dates and more information click here. Do check out our calendar for details and carpooling. ﻿Come and see photographs taken during our Outings so far this year. Membership fee is $50.00 per year for a single membership or $90.00 per year for a couple or a parent and child within the same household. Receive regular e-mails about club events. 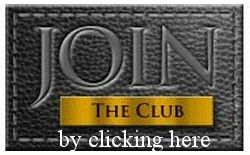 Click on the button "Join the Club" above to learn about our membership fees. CAPS members often volunteer their services to help photograph charitable events. If your NON-PROFIT organization has a need for a photographer please contact us by clicking here. CAPS is a club where photographers of all levels can get together in a social atmosphere for the sharing of techniques, knowledge and experiences. We have a history of involvement with the City of Red Deer and hope to continue to provide a valuable service to our community. We endeavor to promote photography in our community through education, events, exhibitions and community service. We offer classes, presentations, workshops, photo assignments, mentoring, guest speakers, competitions, and other activities that will encourage you to grow as a photographer. We meet the 2nd and 4th Wednesday Sept to Nov. and Jan to April. Classes are as scheduled, usually the third Wednesday of the previously mentioned months. Doors open at 6:30 for socialization, meetings start at 6:45pm. See our club calendar for exact dates and meeting details. Click here for a pocket sized pdf file with all the Monthly Assignments and due dates. Please Note: Monthly Assignment photos HAVE to be taken after the Annual General Meeting of April 22, 2015. CAPS would like sincerely to thank Culture Services of the of City or Red Deer for making Fee for Service funding available to us to help finance photography education by prominent Alberta photographers for our members and other citizens of Central Alberta. Caps would like to thank the fine folks at McBain Camera for all of their wonderful support throughout the year. Their competent staff are knowledgeable in all aspects of photography and there selection is sure to satisfy all of your photographic needs. If you need equipment, new or used be sure to check them out at http://www.mcbaincamera.com/index.php. CAPS club members will be entitled to a 10% discount on Pro Master equipment and a 15% discount on all in house photo development. Thank you McBain.